Support local reporting with a tax deductible donation today. The Wyoming Department of Environmental Quality has yet to determine the source of the leaks, according to agency spokesman Keith Guille. Agency staff are proceeding through an arduous process of elimination to isolate the source, he said. Tests include a chemical comparison of the gas seeping from the banks with that in Maverick’s tanks. They also plan to add tracer chemicals to Maverick’s system to see if they then appear elsewhere. They’re currently awaiting results of the chemical comparisons. As did many, I opposed the Maverik’s application for permit to operate the gas station adjacent to the river. And I still believe that it was not a good decision to approve the permit. 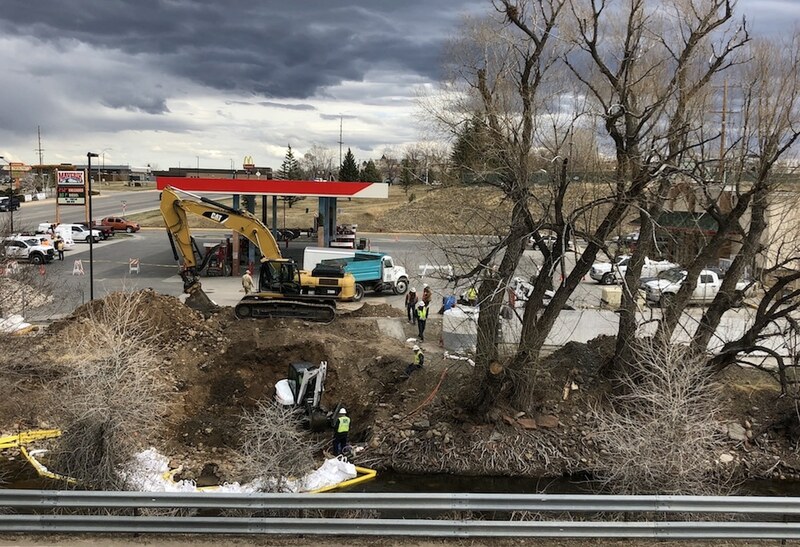 The latest reports are that the WY Department of Environmental Quality has determined the Maverik is responsible for the leak, will be fined, and must repair its systems before it is allowed to resume operations. I wonder, though…is it possible that the leak was discovered more quickly than would have been the case had the station been built hundreds or thousands of yards away from the stream? I’m thinking of all of the gas stations across our state, any of which (maybe the majority?) might be chronically leaking gasoline and contaminating ground water – a resource that belongs to the people of Wyoming and on which 70% of its citizens depend in whole or in part for their drinking water.